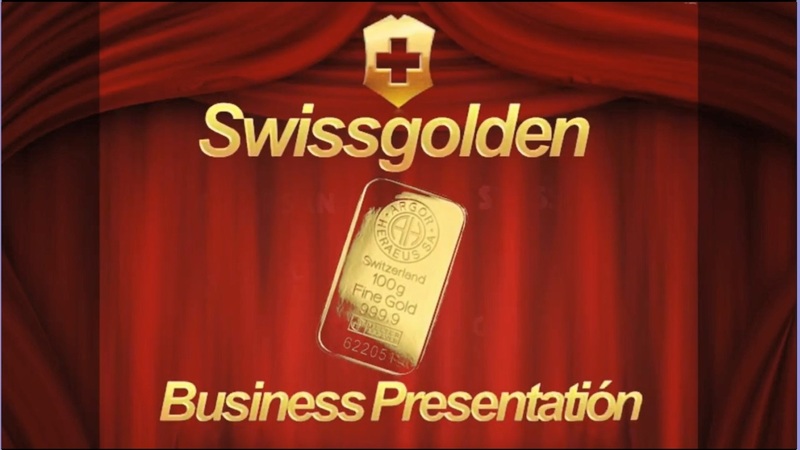 The Swissgolden company provides their clients an opportunity to pay for the order to buy gold in parts through a Bonus marketing program. The client on becoming a member of the bonus program may contribute 10% of the contract amount. The remaining 90% will be paid by the bonuses. 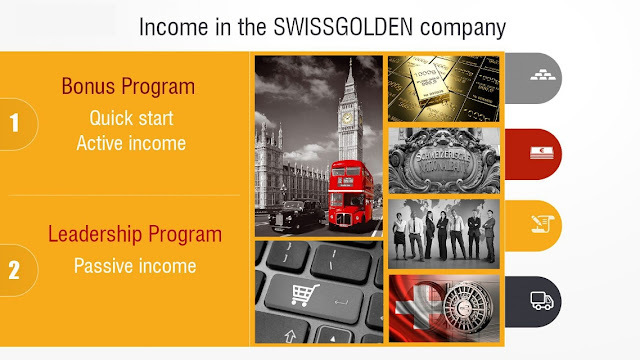 The gold bars that will be earned as bonuses can be kept as investment or be used at the client's own discretion within the framework of services offered by Swissgolden company to its clients. The bonus program consists of TABLES OF ORDERS. Each table has 3 levels and 7 order positions. Each position is a customer placing an order of gold. When the table is full, it means that the order is complete and real gold will be awarded. The Swissgolden Bonus Program is a Unique marketing program where partners of the Swissgolden Company are rewarded with gold for promotion of the Company. • Create their proper gold reserves, regularly obtaining bonuses and paying only for 10% of the collective order in any of the tables of order. • Promote the company's services regardless of age, education and occupation, spending only 1-2 hours of their free time per day. • Reach high results of personal and career growth through the Leadership program of the company. The terms and conditions of collaboration with the Swissgolden Company attracts hundreds of thousand people around the whole world. The program consists of TABLES OF ORDERS. Each table has 3 levels and 7 order positions. Each position is a customer placing an order of gold. When the table is full, it means that the order is complete and real gold will be awarded. 1. There will always be 3 orders of customers on the table on levels 2 and 3. New customers will enter on Level 1 of the table which may be empty or may have 1, 2 or 3 other customers. There are 4 positions on level 1 to complete a table of orders. 2. A new customer will always be placed on the first level (Level 1) of the table following the person who invited you. 3. When the order 3 places on a table are completed, the customer on Level 3 will be rewarded with 1890 Euros to buy Gold from the Swissgolden store. Each customer is required to invite (or refer) 2 other customers to the program. Once you have successfully invited 2 customers to the program, you will qualify to receive your 1890 Euros bonus when your table of orders is completed. After one exists you table of orders, you will follow your sponsor to another table to get rewarded again upon completion of that table. The Table will split to allow the 2 customers on level 2 to get their bonus reward when orders on level 1 are filled. It is now the chance of the customers on level 2 to bring their own referrals. Once a table of 7 orders is complete the customer on level 3 will be rewarded with 1890 Euros to invest in gold and move on to the next table.